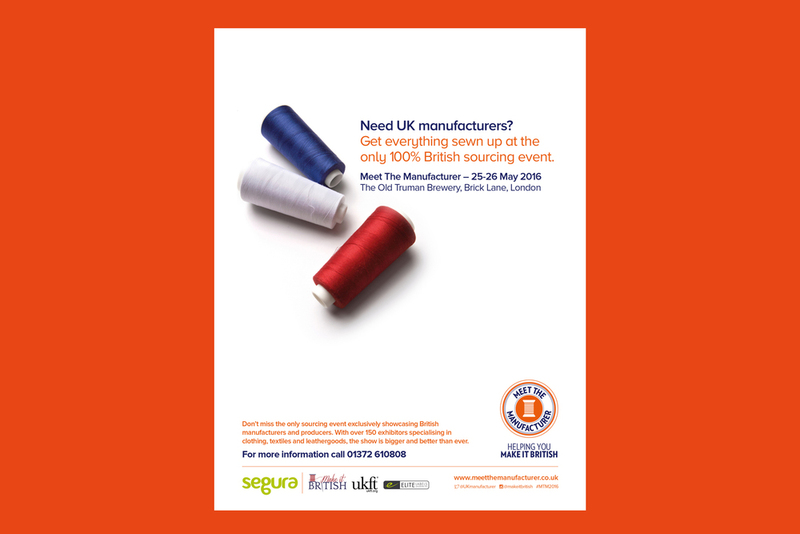 Meet the Manufacturer is the only sourcing event exclusively showcasing British manufacturers and producers. With over 150 exhibitors specialising in clothing, textiles and leathergoods, the show will be celebrating its third edition in May 2016. We were asked to create an ad to promote the 2016 event, the ad featured in Drapers magazine.